How to remove a coffee spot or Stain from Your carpets? Home/Uncategorized/How to remove a coffee spot or Stain from Your carpets? 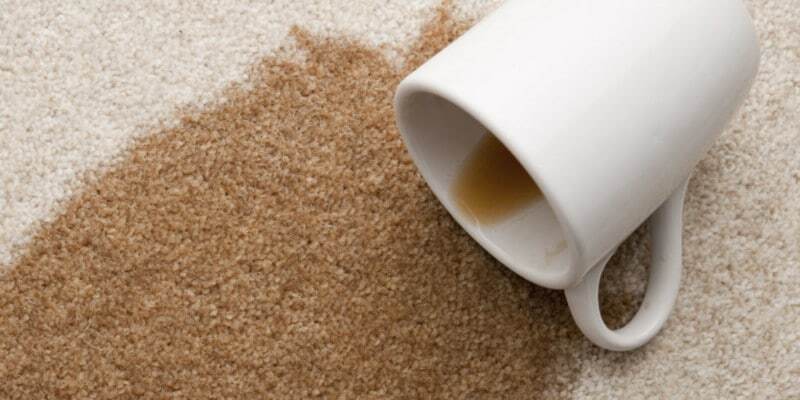 How to Remove a Coffee Spot or Stain from your Carpets. How to use products you have at home to remove spot on your carpets . One of the most common spots we see everyday while cleaning carpets are the horrifying Coffee Spots. Coffee spots can ruin your brand new looking carpet or oriental area rugs. Most of our Clients are always concern about those coffee stains, they also ask how they can clean a coffee spill to prevent having an spot on their carpets and take the risk of having a permanent stain. if you do not take care of them right away of this spots could become an stain and be permanent. That is why we want to share with you how you can spot clean coffee. How to Remove Coffee Spots from your carpet just using house hold products! By knowing what to do on this situation will help you save some money on service call or save your carpet from a permanent stain. As a professional cleaning provider we can easily remove all the spots. We have professional products for every situation and we have procedures to follow that help us to remove almost anything from your carpet. But you as a homeowner don’t have access to the training and solutions available. How can you remove a coffee spot or stain from your carpets?. Don’t forget by learning how to remove a coffee spot you can save money on service call for carpet cleaning or area rug cleaning. Before we get into details let me tell you the secret for coffee stain removal effective. Do your spotting right away as soon as it happens. Another thing a spot is much easier to remove when is fresh if it fully drys your chances to remove the spot will be lower. If you try to use to many solutions when you are doing your spotting there is a good chance that you turn your coffee spot into an stain. Carpet Stains are likely to be permanent. I the years we have been in business and after all the training we have taken we learned that nobody can guarantee stain removal. First thing to know is if the coffee was hot or not? If the coffee was hot you have to be more careful and the process will take a little bit more of work and time. If you spilled hot coffee on a colored carpet wall to wall area or on an oriental area rug made of wool or silk there is a good chance that you may have to deal with bleeding on your rugs. Do a bleeding test before you do any spot cleaning because the dyes on your carpets or area rugs could be unstable at this point. By the way, you will need a lot of of paper towel. Why You have to use white paper towel for spot cleaning? Because if you are working on a white carpet and your paper towel or towel have color you can transfer the color to the carpet and create an stain. This is called dye migration. We don’t want to make worst. If you are working on an oriental rug with bright colors, and the coffee you spill was hot we may have some color bleeding and if the paper towel you are using is not white you can transfer the color of the paper towel to your carpet, Heat will create bleeding from the paper or from the rug.. This could damage your carpet or rug. How You Do Your Own Spotting or spot cleaning solution? Now we have to take the paper towel and folded and apply pressure over the spot, blot up all the coffee out with the paper towel, and as I said you will need a lot of paper towel when doing your own spotting. Keep bloating up until you get all the remaining coffee out of you carpet. Be careful when blotting. Make sure you fold the paper and use a clean area all the time, don’t use a section that was used because you can spread out the spot. Keep blotting (applying pressure on the spot) as many times as you can, this will help to remove the spot without damaging your carpet or rug. After we finish blotting out the spot you need a 16 oz of water on your spray bottle and then add few drops (not too much) of your dish soap. Shake it well to mix the water and the detergent and Ta Daa… your amazing spotter is ready. Spray the carpet with your homemade spotter. Make sure you put enough and take a butter knife and work the solution into the fibers. Wait for around 5 minutes and start blotting the spot out again over and over until you do not see any coffee color coming out of your carpet or area rugs. When you are doing spotting remember work from the edges of the spot to the center and never scrub or brush the area. You have to blot the spot at all times and if you are doing scrubbing do it very gentle or you could damage the fibers of the carpet. When doing your own spotting you need to be very patience because you will be doing the same steps over and over until you are satisfied with the results or the way your carpet looks. The final step is come back with clean water to rinse the spot. Why you have to use water after spot clean your carpets and rugs? Well if we leave the water with detergent and you don’t rinse it there is a good chance that area will resoiling much quicker. That is the reason you need clean water. The clean water will dilute the residue of the soap and make sure the carpet will last longer clean. Blot the water up that way you pull all the moisture out and if you have a carpet cleaner machine, shampooer or a shop vac we recommend to use it and your carpet will dry quicker. Conclusion for your coffer stain removal. Now you know what to do on this situation: you need paper towel, bloat the spot, apply your spotter, work in the spotter, bloat the spotter, rinse with clean water and blot again. As i explain, you have to keep working on the spot until you get all the coffee color out and that is basically how you clean or remove a coffee spot from your carpet using homemade products. 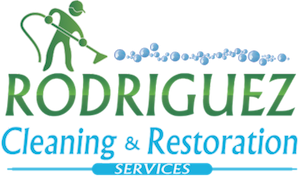 Hope this help you and if you need help or you do not have the time to do your own spotting call Rodriguez Cleaning Services we are Your Louisville Professional Carpet and Oriental Rug Cleaning Company in, KY.